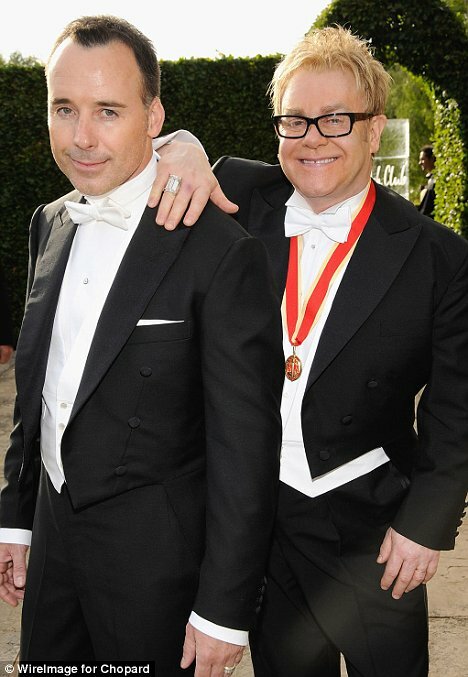 This is very good news for my husband and me: On Christmas day Sir Elton John and his husband David Furnish welcomed their new son Zachary Jackson Levon Furnish-John to this world. The baby was born via surrogacy. I can only imagine the ecstasy those two must be feeling right now; what a joy to have a child with the one you love! Elton was born in 1947 and David was born in 1962 which means they are not young men. Sometimes I think we'll never have the "extra" $75,000 to $100,000 in time that is required to have a baby through surrogacy, in addition to the cash required to rear a child, but if we use Elton's timeline we have until 2043! We need to find an extra $3,000 for each of the next 33 years...and then it's baby time! Elton John is GAY? ? ? ! ! ! I had no idea.